Wearing the Birkenstock Arizona Essentials is as easy and slipping them on and kicking them off. They’re comfortable, they’re trendy, they come in such fun colors and they’re a celebrity favorite! In fact, singer Lorde was spotted recently in her home country, New Zealand, wearing a pair of her very own! See it: Get the Birkenstock Arizona Essentials for just $40 at Zappos! These sandals are made entirely of high-quality EVA (Ethylene Vinyl Acetate). This material is insanely lightweight and flexible, so we won’t be stuck walking on flat footbeds that feel like concrete. The footbed of this shoe is contoured to fit our foot, “anatomically shaped” for support and comfort worth bragging about. 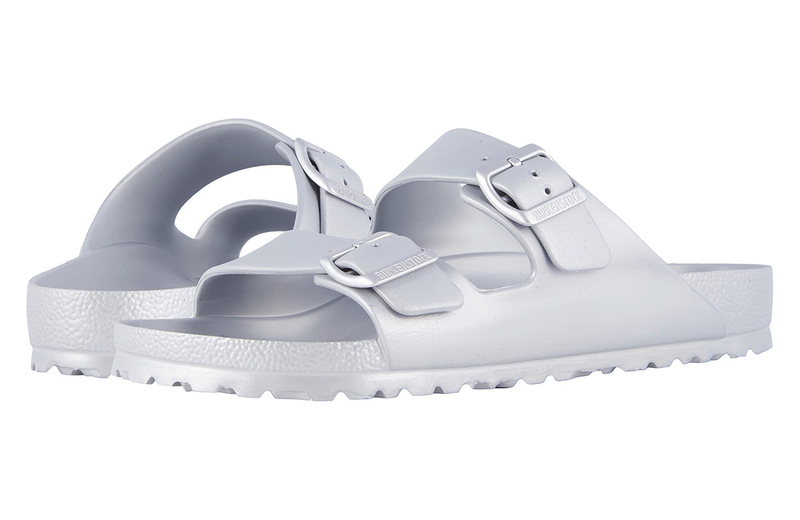 A special aspect of these Birkenstocks is that they’re waterproof, unlike their classic counterparts. We can actually wash them! Sandal weather means we’re spending a lot of time outside, which means dirt, mud and grass stains are difficult to avoid, but that’s only a temporary issue when it comes to these shoes. With these sandals on, Coachella is calling our name. Or maybe just the local pool. Whatever works! We’d wear these anywhere, so don’t be shocked if we’re caught wearing them with socks on colder days, too. We’ll make it work, we promise! Not your style? 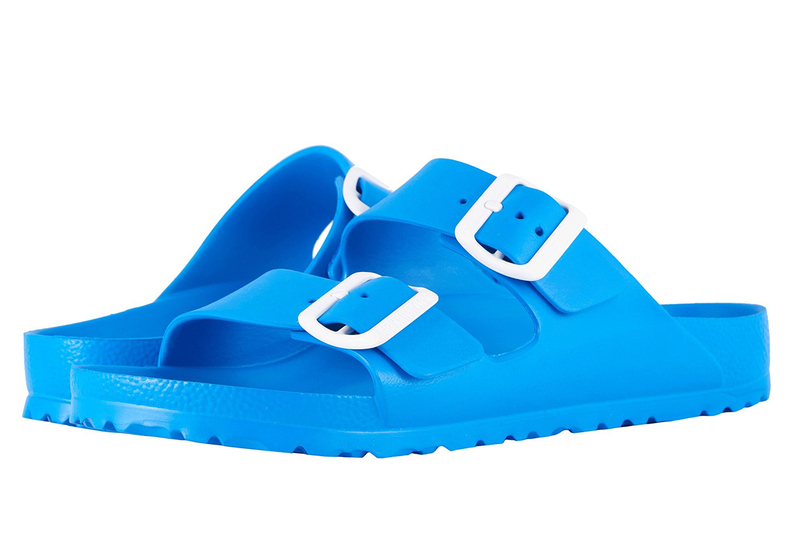 Check out more Birkenstocks here and other sandals available at Zappos here!